Please tell us about each of your cats and/or dogs over the last five years, including current pets. Who will be the primary caretaker for the dog? Are there children living in your home? If so what are their ages? How many adults reside in the home? Does anyone in the home have allergies to pets? If yes, who, and how do you plan to deal with this? Is anyone in the home afraid of dogs? Is your yard fenced? how tall, what type of fencing? Is anyone at home during the day? when? Where will your new pet be kept at night? Where will your new pet be kept while you are on vacation, out of town or away from home for an extended period of days? How much do you plan to spend on a pet per year? Are you prepared for veterinary expenses, including emergency medical cost, that will be incurred by adopting this dog for it's entire life? Are you willing to make a lifetime commitment which could be 15-18 years for your pet, including medical care, grooming, proper diet, shelter, exercise, companionship, and love? What problems would make you give this pet up? What traits or behaviors would you have a hard time dealing with in a dog? What traits or behaviors do you most like in a dog? Some dogs are lively in the house. They like to play with you and follow you around. Do you think an active dog would annoy you? What is your prefered level of exercise with the dog? 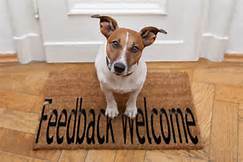 Please describe your dog training experience. What type of discipline will you use when training? Do all household members understand that it takes time for a pet to adjust to his or her new home? Are you willing to put up with some accidents while the dog adjusts to their new home? What kind of solutions would you be willing to try if housebreaking accidents continue after the first week? Will your new pet be allowed on the furniture? Have you ever had behavior problems with previous dog(s)? What did you do to correct the issue? What made you decide to adopt this particular dog? In the last 6 months, has a dog or puppy died on your premises of distemper, parvo, or unknown causes?